I love decorating for Valentines Day. (ok what holiday DON'T I love to decorate for?) 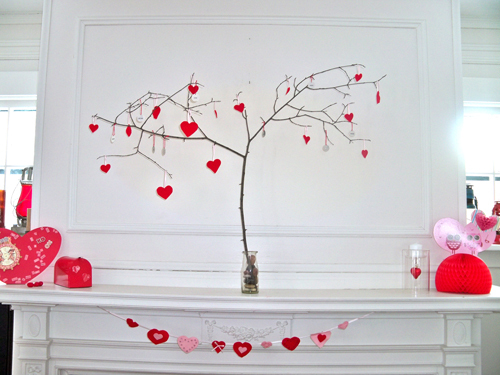 I was excited to set up my heart tree in the new house. I had Aaron get me an extra big branch for it since we have more room now. It looks so nice on our mantle with my other bits and bobs. The red really stands out. Almost makes me want to keep the living room white. Hah - almost. 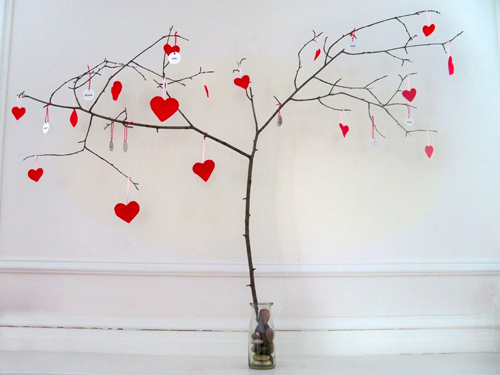 I think that heart tree is perfect for my bedroom furniture. I recently decided to repaint my room with color red by the way.